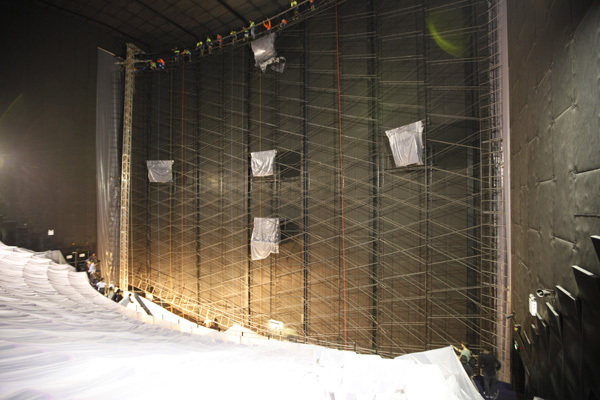 A team of 31 riggers arrived on site early in the morning to unfurl the 35 metre long vinyl sheeting and then scale the eight storey high steel frame that acts as the backbone of the screen once in place. 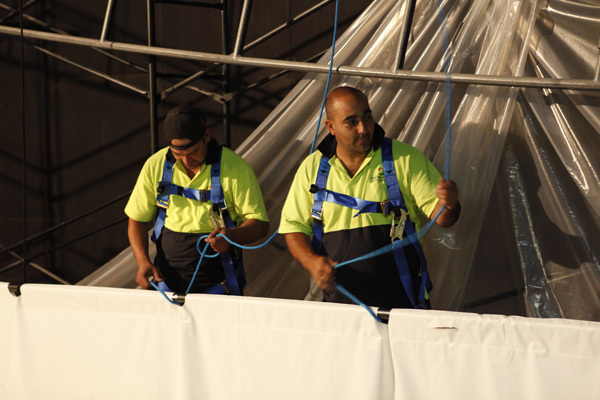 Metal rods were threaded onto the top of the vinyl and then ropes that dangled from the top of the frame were then tied securely along the length of the rods. 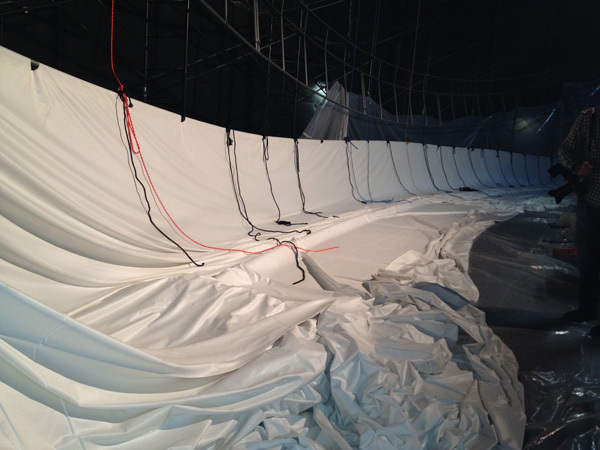 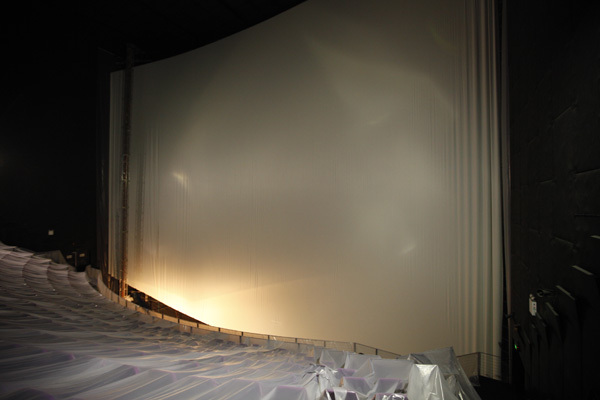 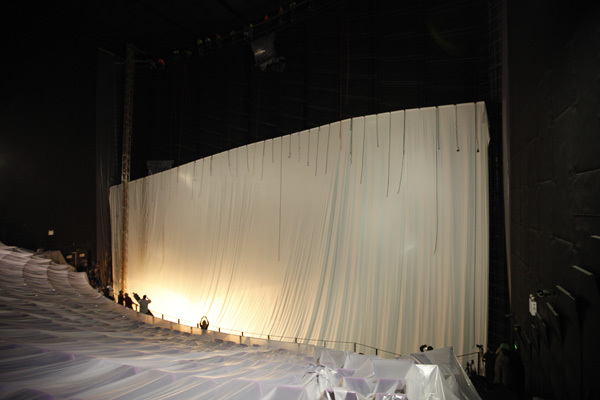 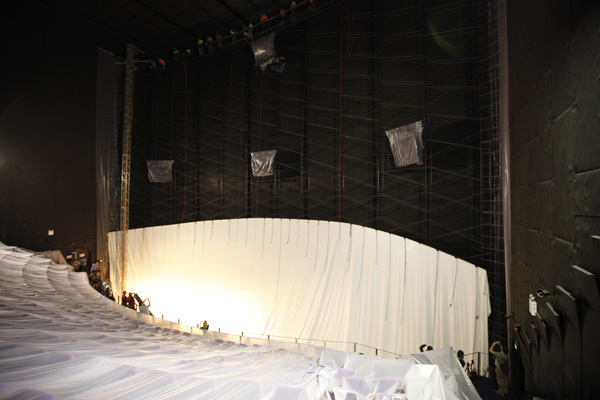 On the word "go", the screen was hoisted slowly skyward by the team of riggers up top, replacing the darkened rear internal wall of the auditorium with a blinding white vinyl canvas, perforated with millions of tiny holes which allow the sound to travel out from the speakers positioned behind. 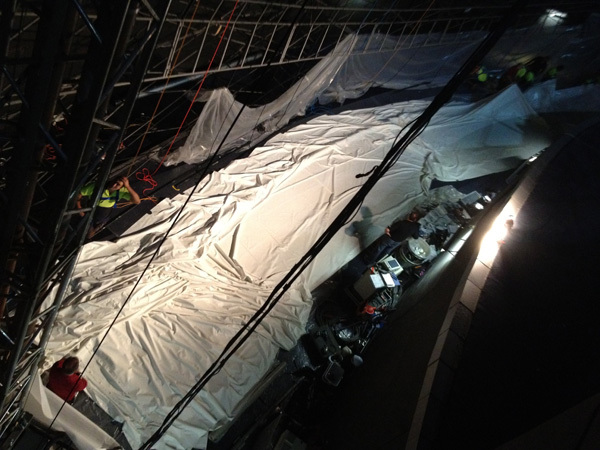 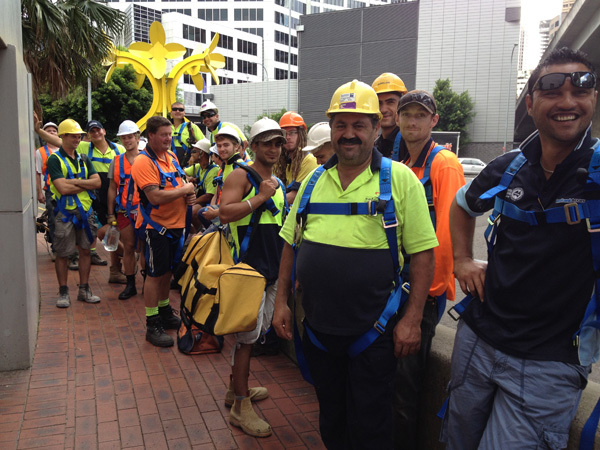 Take a look for yourself at these behind the scenes images of the action in Darling Harbour.